Just like our company name entails, KG Doors & Gates provides homeowners and business owners in the Chicago, IL area with dependable gate and garage door service! When you are in need of garage door service in Chicago, we can typically give you same-day service, so there is no waiting around when you choose us. All of our technicians arrive to your location with trucks that are fully equipped with the tools and parts needed to take care of most of your garage door or gate needs on the spot. 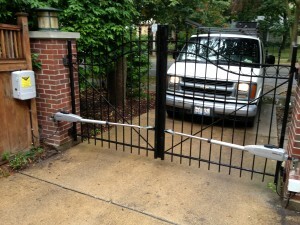 Why look elsewhere for gate or garage door service in Chicago? What Type Of Garage Door Service Do We Provide? If anything goes wrong with your gate or garage door, we can fix it! If a component fails, if a hinge breaks or if something is damaged, KG Doors & Gates will do the necessary repairs to get it back in order. Perhaps the motorized system needs a tune up or maybe the locking mechanism needs to be replaced…whatever the issue, we will diagnose it and provide a fast and affordable solution. While we do provide garage door service in Chicago for virtually every single manufacturer, some replacement parts may be less common to have in stock, however, we have the necessary resources to find specific parts that are needed for the repair. Additionally, we provide up front pricing for gate and garage door service in Chicago with no hidden fees and offer FREE estimates! Plus, we can provide written receipts with our garage door and gate warranties once work is completed. Contact us today for gate or garage door service in Chicago by calling 888-790-7624. Also, be sure to check out information on our garage door installation in Chicago if you are considering a full replacement on your property!